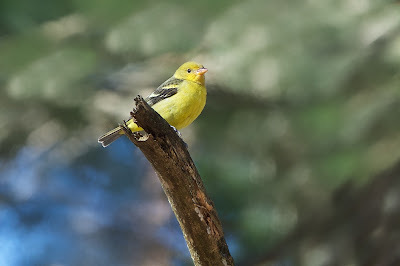 Back in the U.S.A.: Western Tanager in Valley Forge in January!! I was walking in the woods across from the Chapel in Valley Forge yesterday when I saw a flash of yellow. I set up my tripod and waited and the little flash came back and posed for a few shots. 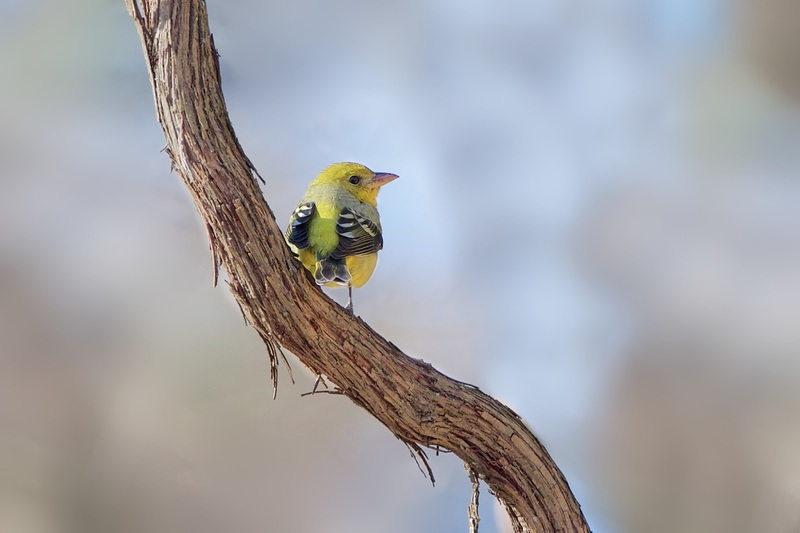 I thought it might be a wayward yellow warbler, but after checking with my flicker friends it turns out this is a very rare sighting of a Western Tanager in January. She should be somewhere in Central America by now. And who said Al Gore was just an inconvenient truth.